I've spent my yesterday afternoon looking for the perfect wedge sneakers and I think I found it. Thank you for all your tips, it's just so cozy and warm and perfect for this cold weather. So what do you think? Have a nice afternoon everyone! Az egész tegnap délelőttömet azzal töltöttem,hogy magas talpú tornacipőkre vadásztam. Úgy gondolom,hogy megtaláltam a tökéleteset, nagyon kényelmes, meleg és remek a mostani időjáráshoz. Mit gondoltok? Kellemes délutánt mindenkinek! I'm looking for the perfect ones too, lucky you! I love your blog, would you mind to check mine out? They are so cool !! Oh my gosh i love them!! they look so cool! Ohhh lovely & comfy looking! Cute. 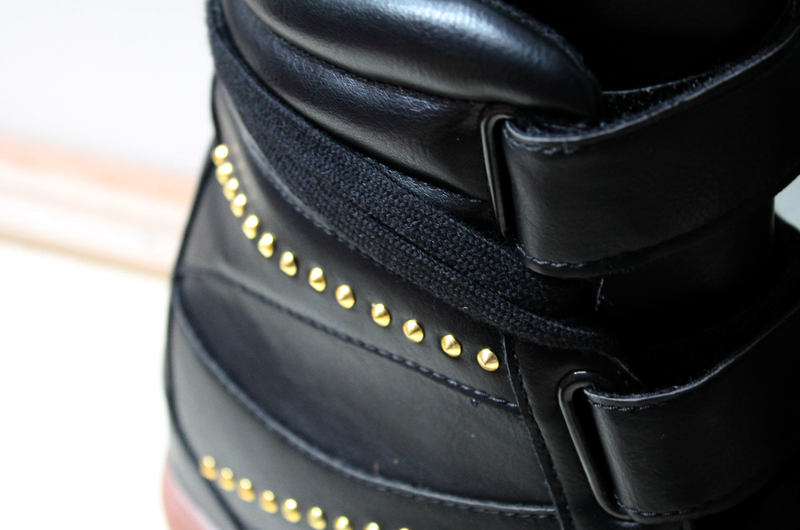 i love the studs on them! Thank you so much for you comment! Amazing sneakers! Looking forward to see it on you! lovely blog dear! thanks so much for your lovely comment! You have a very interesting style and you are only 15! 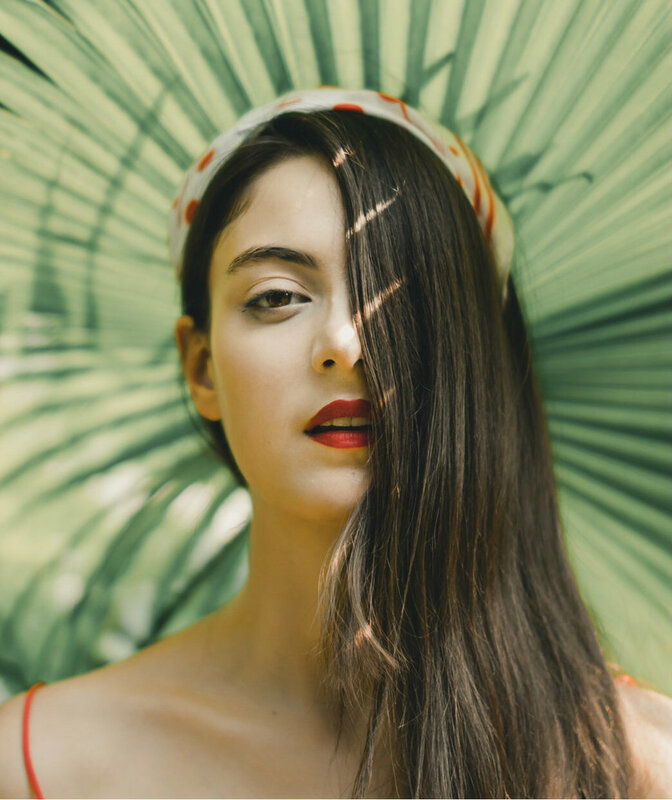 Following you back on bloglovin. I LOVE IT! i need one now!! :) so fabulous yet comfy! great pick, girl! Hi dear, you have a great blog, love this sneakers, thanks for yor comment on my blog.. I'm following you on Bloglovin, would be so nice of you if you follow me too on GFC ?? With this comment I'd like to inform you that today I started my first give-away! nice blog and Thanks for your comment in my blog! i love that boots! metal nail make a shock. 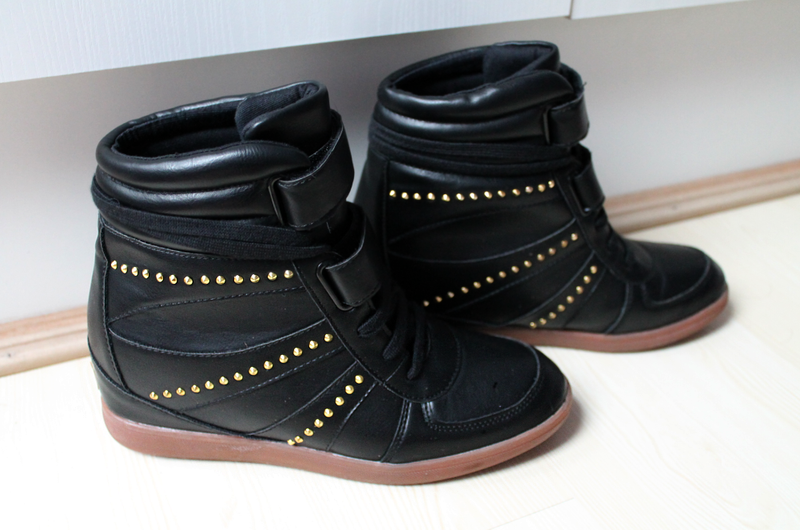 I love the black color of this wedge sneakers, I also bought the same one at http://www.upere.com/upere-wedge-sneakers-c-1.html.